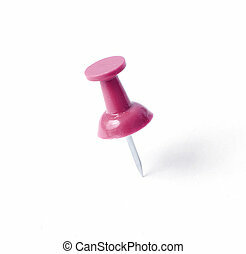 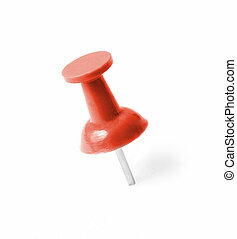 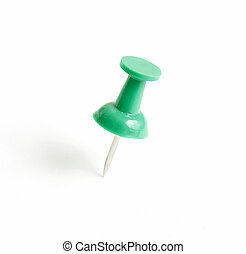 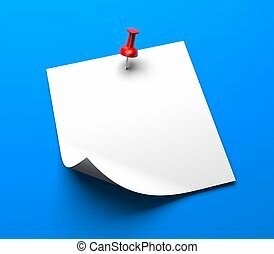 Push pin and note paper office business. 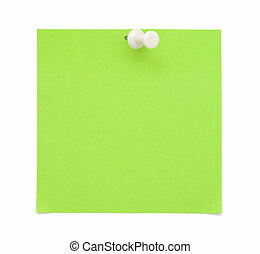 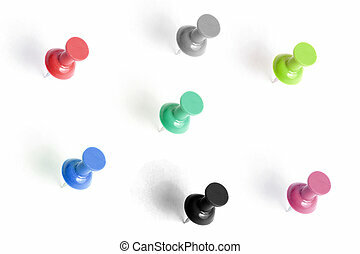 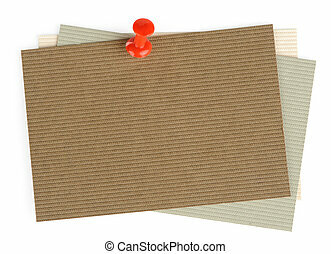 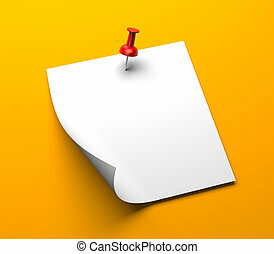 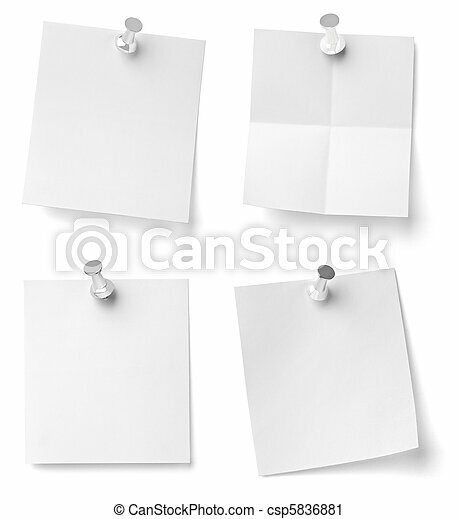 Collection of various note papers with push pins on white background. 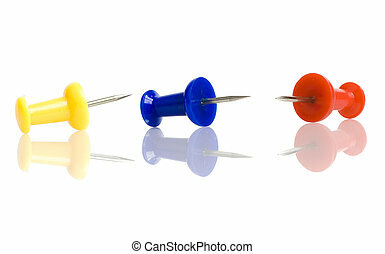 each one is shot separately. 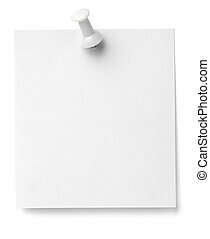 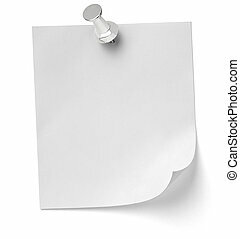 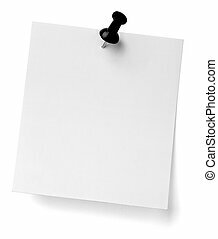 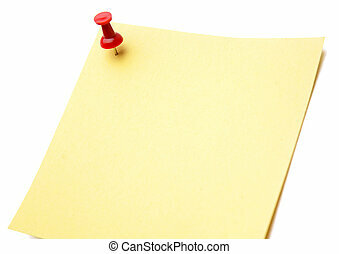 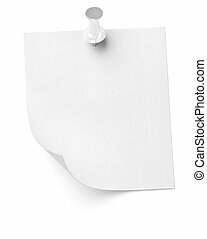 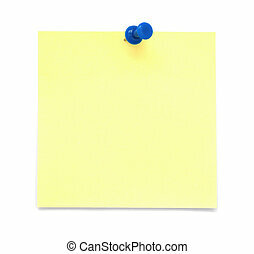 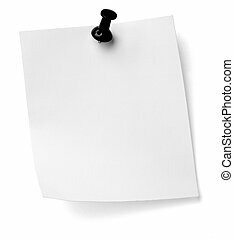 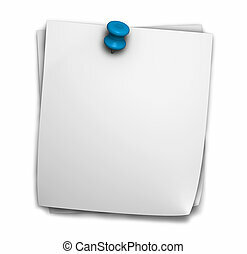 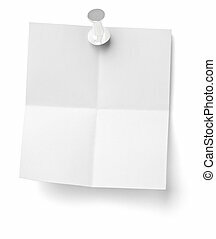 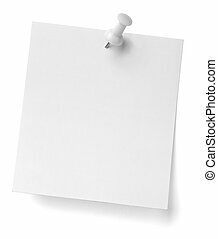 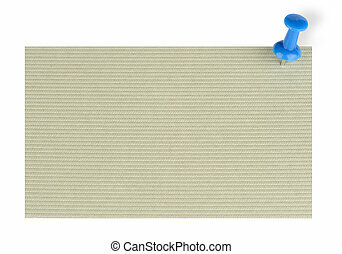 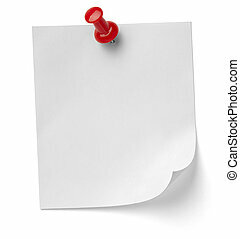 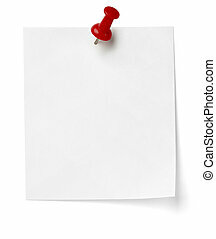 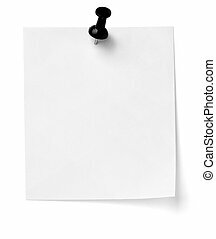 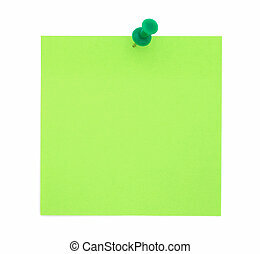 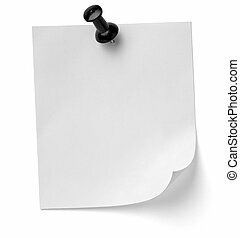 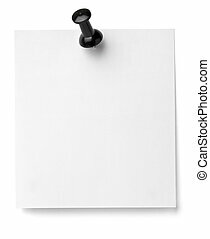 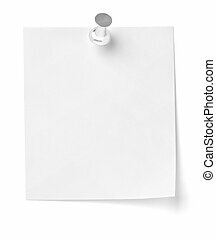 Blank note paper post it for office and business notes with blue push pin and shadow isolated on white background.